Introducing our NewAntiWater Hammer Valve for Cooling Towers. A slow-closing valve to reduce sudden fluid stoppage and avoid effects like Water Hammer. Water Hammer occurs when a valve closes fast and the fluid stops suddenly creating a pressure wave that increases inside the pipe. Depending on pipeline's length, fluid's velocity and closing time, the increase in pressure becomes extremely dangerous, causing bursting of pipes or accessories mounted on them. 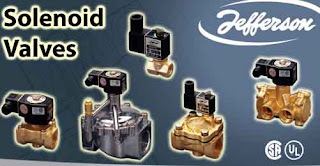 Jefferson has solved this problem by implementing a closing device in the valve that slows down the operation by several seconds which helps arrest or diminish water hammer effects. These are used in a great variety of systems and different industrial areas that handle water, air, steam, light oils, neutral gases and cryogenic fluids, from vacuum to high pressure and high temperature. Some application examples are: automatic petrol and beverage pumps, sector-programmed park irrigation, sown land, dancing water fountains, oxyacetylene welding equipments, electric welding under inert atmosphere, fire-extinguisher systems, liquid or gas dosing, liquid level regulation, packing machines, water treatment systems, pneumatic expellers, car washing machines, building exterior cleaning machines, nickelplating process, galvanization, coffee machines, car systems against theft or gas selection systems, air heating systems, hot water, steam, hot oils, laboratory or industrial cryogenic systems, low and high vacuum regulation, ink drying systems, etc.. These are used for automation, for the security of combustion equipments for boilers, furnaces, etc, and for the oil and petrochemical industries. 1330/2030, 1332 and 1388 Series valves are especially designed to comply with the Resolutions, Regulations and Recommendations for the use of Natural Gas in industrial installations. They may be used with other gases, such as LPG, propane, manufactured gas, etc, as well as with air or any other non combustible neutral gas. The maximum working pressure for 1330/2030 series Normally Closed diaphragm valves, when used as relief valves in Natural Gas burners, is 0.160 kg/cm2. With respect to the Normally Open valves of the same series it is 0.5 kg/cm2 with standard diaphragms and 2 kg/cm2 with reinforced diaphragms. 1330/2030 Series Normally Closed diaphragms valves are optionally provided with adjustable slow openings up to 10 sec. 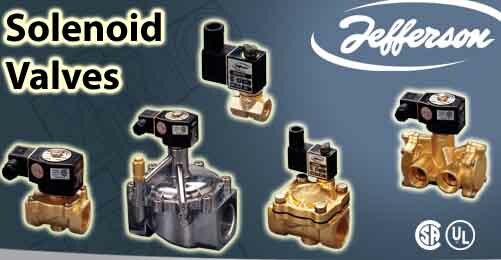 1388 Series valves include a system that allows them to open in two stages, the first of which is quick and with adjustable opening percentage, and the second is time adjustable up to > 20 seconds. Both 1330 / 2030 and 1332 and 1388 Series are optionally provided with microcontacts for proof of closed valve. 1330 (Ø 1°) and 2030 Series have a reed switch, and the others have an SPDT microswitch. These are 3, 4 and 5-way valves used to direct the flow needed to operate single or double acting cylinders.They are also used when two fluids are to enter the same circuit (convergence), or one fluid into two circuits (divergence).